Eco-friendly shungite tableware is the latest sensation in the Karelian mineral collection. Trendy dishware items made of hand craft black stone preserve all its unique qualities. Usual tap water turns into the health elixir when poured into the shungite glass. Shungite works as a natural carbon filter that absorbs toxins and heavy metal salts. The water purification process provokes intensive chemical exchange: as a result, only beneficial organic substances get into the water. You can wash your face, gargle, debride all kinds of cuts and scratches and water the plants with this shungite-structured life-giving water. Just try and make sure: the regular use of this tableware has astonishing effect. Water is not the only liquid that you can pour into shungite tableware: natural juice and home-made fruit drinks are much more useful and delicious with it. 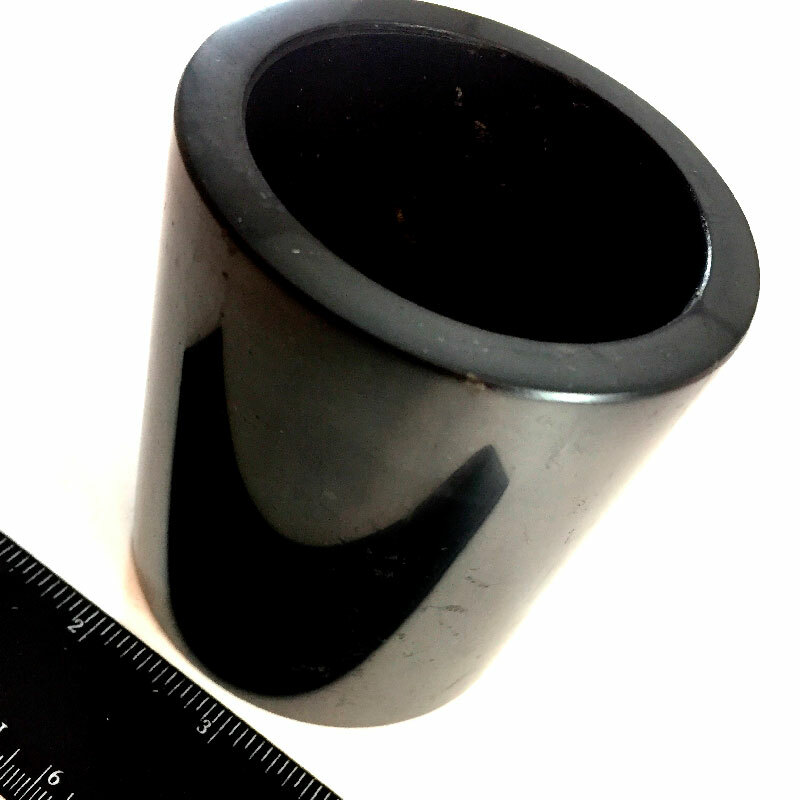 Beer in a thick-wall shungite shotglass becomes extremely soft and gets stable thick foam. Shungite glasses keep the optimum temperature of hard liquors and add pure and significant taste. This original tableware is especially valuable as all the items are made of the shungite of Zazhoginskoye deposit that is the only place where such large elite stones are produced. Shungite bowls, mugs, shot-glasses and glasses look really massy but in fact they are surprisingly light and handy. You can buy every collection item in the unique copy or order a tableware set.